The New York State Library, through its Ready to Read at New York Libraries initiative, has partnered with OCLC’s WebJunction to bring the successful Supercharged Storytimes for All (SSA) program to youth services public library staff across the state! Whether you are new to developing and offering storytimes or a seasoned provider with years of experience, this free program will help you to deepen and enhance your services to young children and their families. Trainings will be offered late 2018 through early 2019. The program is based on the powerful VIEWS2 findings , which confirmed the effectiveness of key storytime strategies. WebJunction teamed up with early literacy expert Saroj Ghoting to translate the research into best practices and to develop a comprehensive, real-world curriculum for library staff. SSA training includes the following six modules offered over the course of several weeks in either a live, fully online or blended (online and in-person) format. By spacing the sessions, participants are able to return to their libraries, incorporate what they learned using provided tools and resources, and share with peers in the online learning community. The curriculum was specifically designed to provide participants with a practical and effective “learn by doing” experience! 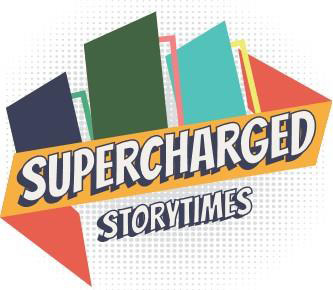 The Supercharged Storytimes for All project is supported in part with federal funds from the Institute of Museum and Library Services. contact Sharon at 518-486-4863; Fax: 518-486-5254.